I often have to do network diagrams in Visio and one of the most common shapes I use is the Ethernet one. 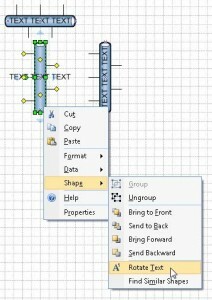 By selecting the shape and pressing F2, you can add text to the shape to add information such as a description, vlan number, ip information etc. I ran into the problem where if you rotate the shape to vertical, the text remains in the horizontal plane. I looked under Format -> Text but could find no options there. Nor could I find anything in Shape -> Rotate – Flip. What I often ended up using a regular text box (that can be rotated) and grouping the Ethernet shape and the Text block together. 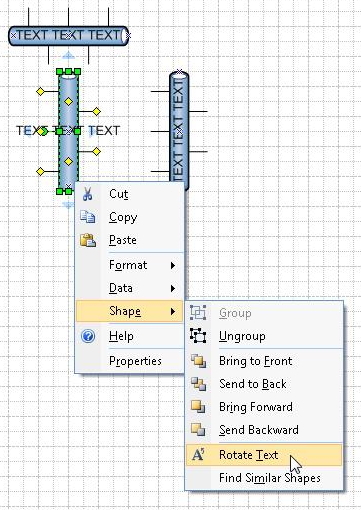 Is this still possible in Visio 2010? I so not see the option to rotate the text when you get properties in this version – instead I get the Shape Data window. Any suggestions? Select the shape, then press the Text Tool button, then press escape. You should now be able to rotate, move the text or resize the text box.